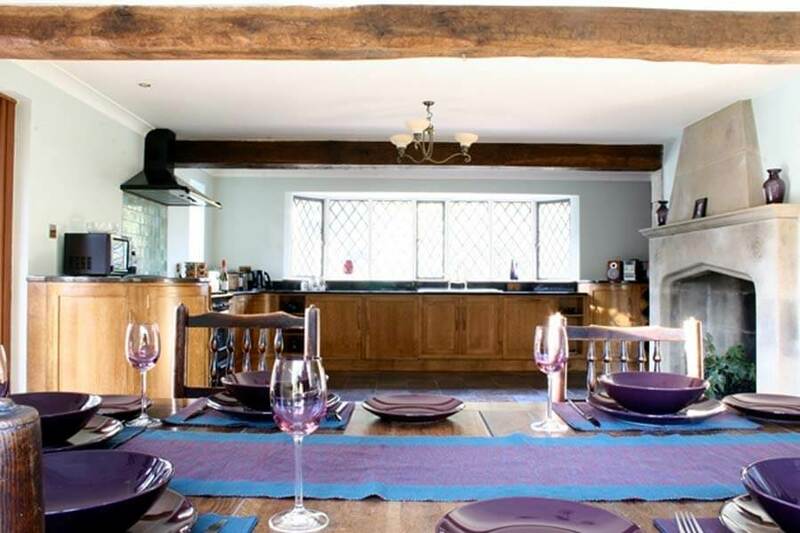 The large Kitchen/Dining Room forms the centre of gravity of this home with a heated slate floor, oak beams, large sandstone fireplace and antique oak dining table. Enchanting views across the river and woodland add to the atmosphere. Let your inner chef loose in this hand crafted oak and granite kitchen which is well equipped with a gas fired professional range cooker, electric ovens, microwave, fridge, freezer, dishwasher, toaster and coffee maker. Designer crockery and utensils and place settings for twelve people make this cooks’ kitchen perfect for entertaining in style.